Handling Expected and Unexpected Errors is called Error Handling. Why we need to use Invalid input? We use invalid input for negative Testing. ii) Using some built in functions. If any error is there, skip the error and continue the Execution. If there is no impact on final output then we can use On Error Resume Next statement. If there is any impact on final output then don’t use. It is scenario, makes UFT from abnormal state to normal during execution. 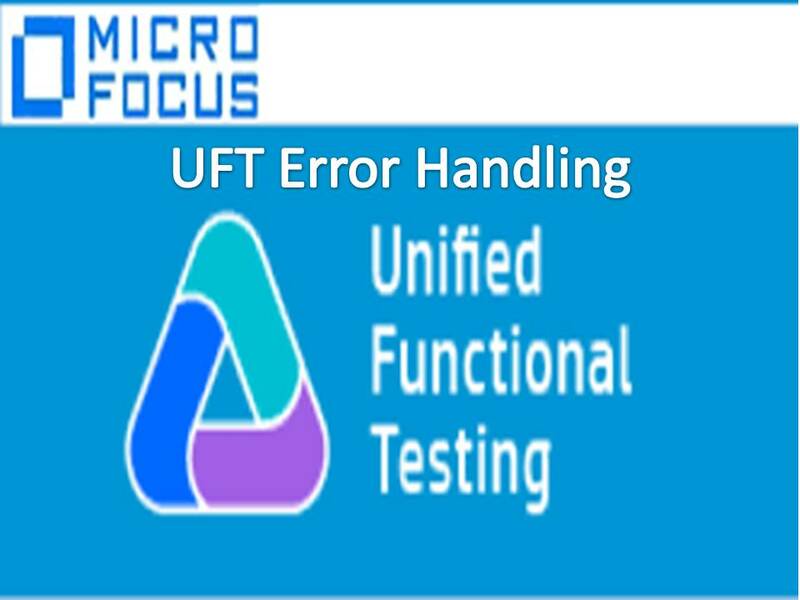 During Test execution UFT may face some problems, if we provide Recovery Scenarios then UFT recovers from abnormal state to normal and continues its execution.